Admittedly, everyone feels nervous on the first day at work except this guy because he wasn’t even working at the right place! A netizen named Ezal recently (January 2018) shared his first day at work story on Twitter and it was so amusing that it had garnered over 4,500 retweets. Here’s what happened. “A day before my job started, I sent a WhatsApp message to the shop owner saying that I will start working tomorrow. He asked me to come at 7am. “(The next day), I reached there at 7am and I introduced myself to the pak cik who’s making the roti canai, saying that I contacted someone last night and informed that I will be reporting for work this morning. At this point, he should’ve sensed something was amiss but no, he carried on working at the roti canai stall until the shop closed at noon. Bruh, really?! 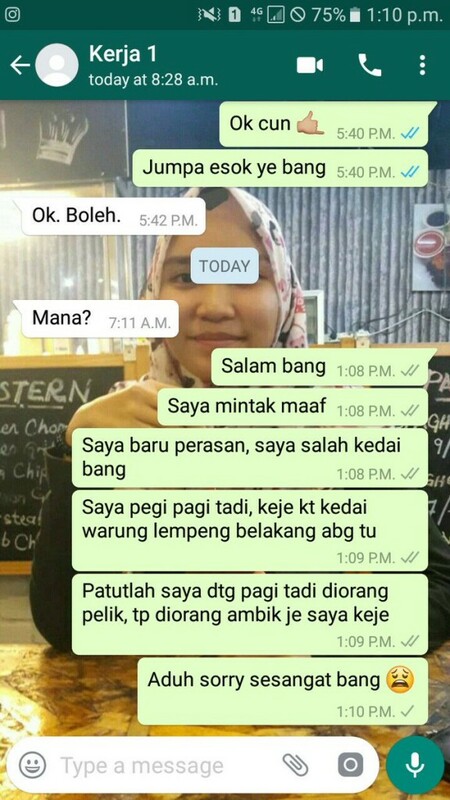 “I started wondering when the pak cik said the working hours are from 7am to 12pm because, in the WhatsApp chat, it was stated that the shop opens from 7am to 5pm. However, I buat dono je lah. Apparently, the two shops were located really close to each other and Ezal went to the roti canai shop instead of the mi bandung shop. What surprised us was how well everything went down! The mi bandung shop owner even laughed at Ezal’s explanation and asked whether Ezal wanted to stay at the roti canai place or go over to his shop. 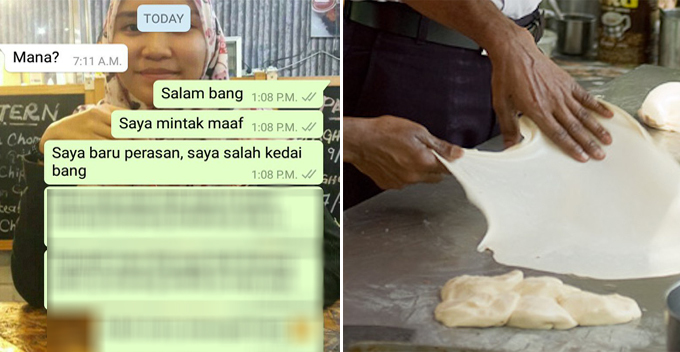 Ezal chose to stay at the roti canai shop since he gets paid the same with shorter working hours. 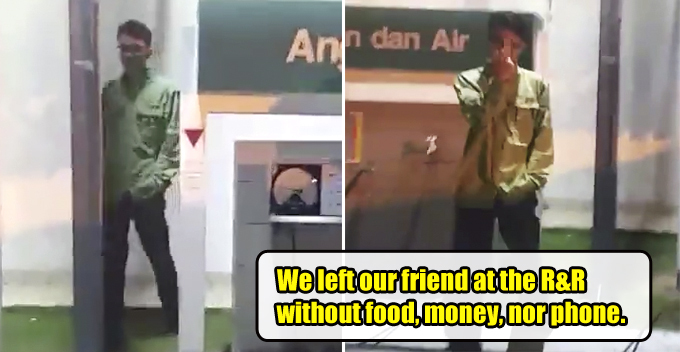 Well, we wish Ezal all the best for his work at the roti canai shop and hope he doesn’t send the food to the wrong place.